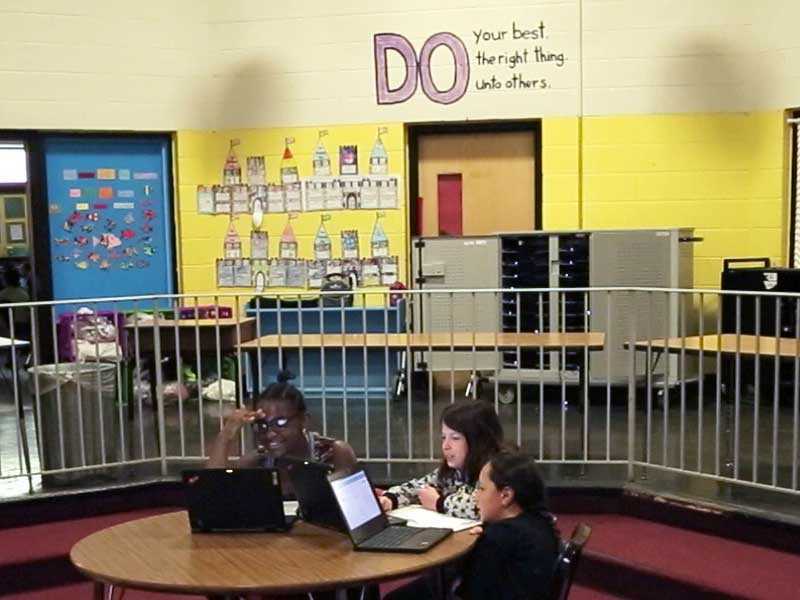 Much like their instructional model does for students, Pleasant View Elementary School instills autonomy in their teachers. Teachers give feedback to the principal about what they need. The principal is often able to provide support and resources to meet those needs, such as help analyzing data or calibrating grading across classes. Coaches provide personalized support as well, such as helping teachers align standards to new curriculum. The team also receives significant support from Summit through the Basecamp program, both in the summer as well as throughout the year via coaching. The Summer training is a two-week experience in California for school and district leaders and coaches and one week for teachers. Coaching is provided throughout the year by Summit leaders. Finally, Pleasant View also has a long-standing relationship with the Highlander Institute, an organization that helps provide professional development, training, and support for all of the blended and personalized programming across the entire school. Pleasant View is a school serving students in pre-K through 5th grade in Providence, Rhode Island. The school partners with Summit Public Schools to implement personalized learning in the 5th grade.